We utilise the latest industry standard software and technologies to calculate, verify, model and optimise our electrical services designs. 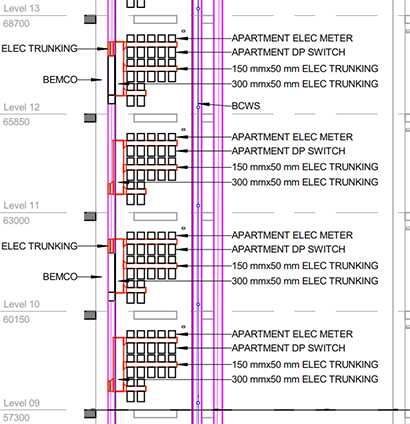 Through use of industry standard software including; AutoCAD, Revit, Amtech, Relux, Dialux and MagiCAD, our engineers can provide a comprehensive design solution for almost any practical application of electrical building services. 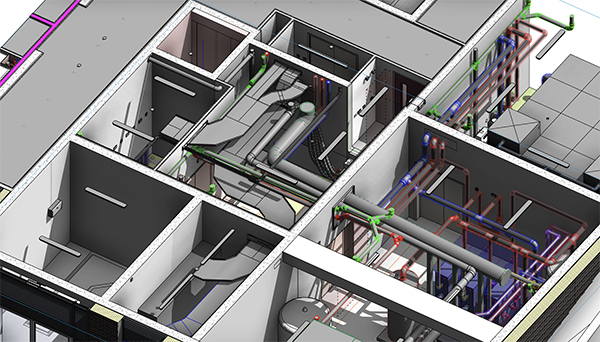 We utilise the latest industry standard software and technologies in our Mechanical services designs. 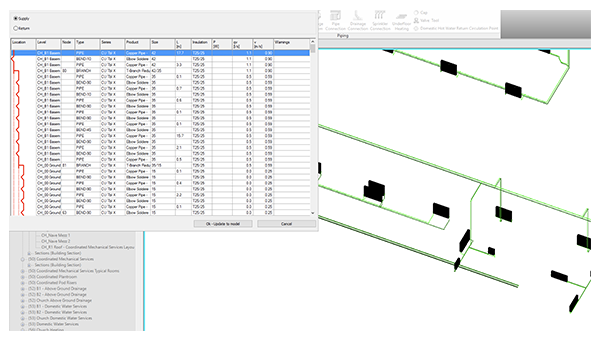 We understand that project requirements vary and so we use a combination of; AutoCAD, Revit, Hevacomp, TAS and MagiCAD to produce our designs to the required level of detail. With these tools we can calculate, design, model, simulate and verify all of our mechanical systems designs. 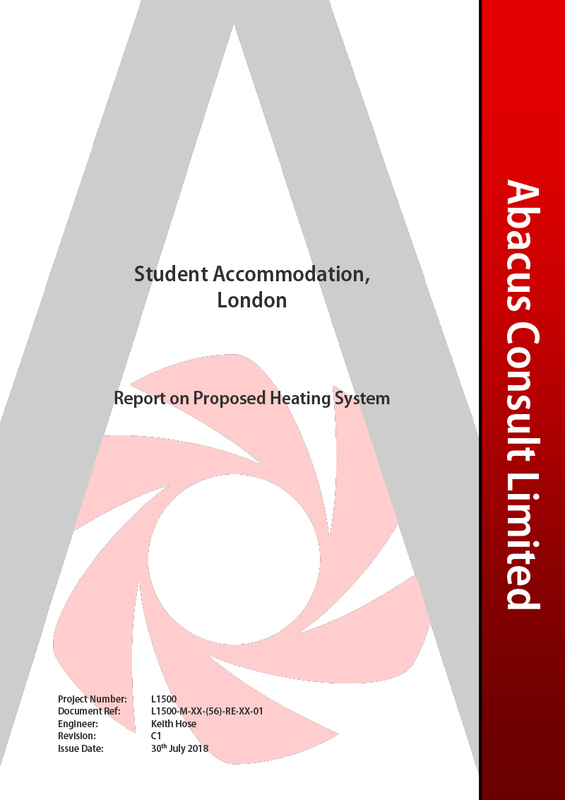 We are increasingly also being asked to undertake the role of technical advisor, providing strategic and detailed advice to Clients on projects where schemes and designs are developed by others. Our understanding of engineering systems allows us to assist in the diagnosis of operational problems, to review operating efficiency, provide system condition reviews, development of maintenance strategies and risk analyses. If you have any questions relating to our MEP Services Design & Appraisal	do not hesitate to get in touch. We will be happy to discuss your requirements.